What do you do with your old, broken appliances? Most people throw them in the trash. But eco-artist Mario Caicedo Langer sees something awesome in every discarded gadget: a robot just waiting to come out. 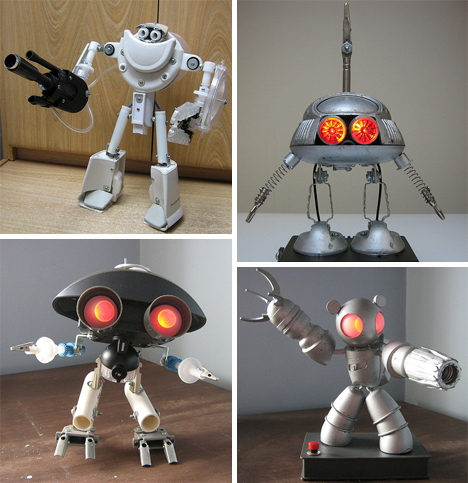 He takes old kitchen appliances, cell phones, computer parts, video game controllers, and various “trash” and creates adorable robots with blinking eyes and moving limbs. 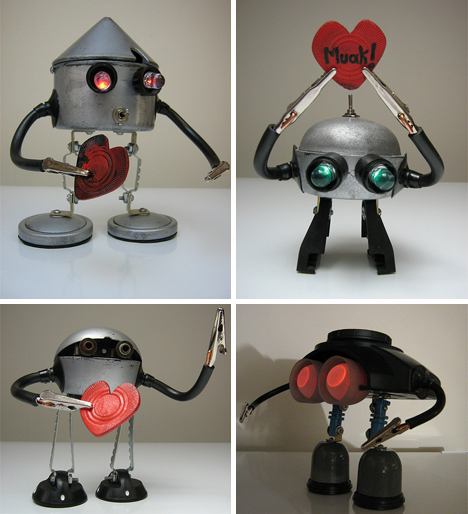 Langer, who lives in Columbia, has created some of the sweetest and most lovable trash monsters ever. They may not be able to empty your garbage cans or put the groceries away for you, but they’d definitely keep you company. In addition to selecting the right pieces of “junk” to make these robots, Langer has to have an understanding of electronics to wire the lights for the eyes and make the limbs move. 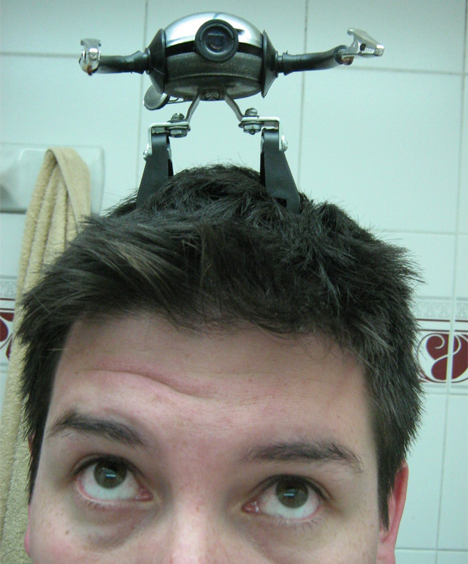 There’s no indication on his Flickr stream about how long each robot takes him, but he obviously puts a lot of effort (and possibly love) into every robo-creature. See more in Art of Tech or under Technology. October, 2009.